Recently, Amazon made some adjustments to the rate table that negatively impacted a lot of bloggers. Two sites that I own took a major hit because of those changes. Instead of giving up, however, I decided to reevaluate my strategy so that I could get those sites back on track in terms of earnings. It is never a good idea to rely on one income stream. If all of your money is coming from a specific set of products on Amazon or from a specific marketing strategy, any changes that impact your sales can have a major impact on your life. Rather than putting all of your eggs in one basket, you should find ways to diversify your income stream. Having said that, it definitely is still worth it to use Amazon’s affiliate program on your blog. 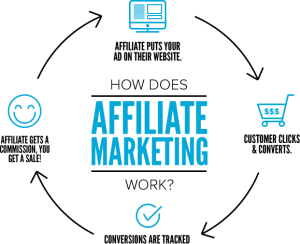 By refining your strategy, it is still possible to make a ton of money with this affiliate program. The vast majority of people head to Amazon first when they are searching for products. Because the site is so popular, it makes sense to incorporate it into your marketing strategy. If you wish to take a little more of an active approach in your affiliate ventures, then you can use fulfilled by Amazon. It essentially makes Amazon the dropshipper in the scenario. Take a closer look at FBA Amazon and see if it would work for you..
Before we get into the details of boosting your affiliate earnings, there is something that I feel like I need to mention. One popular Amazon affiliate strategy is to build a simple site that is populated by Amazon feeds. Although these sites are easy to churn out and can be profitable, they are likely to get hit hard in the future. Don’t rely solely on them for your income. Instead, add other marketing techniques to your repertoire so that you don’t wind up losing all of your income overnight if Amazon decides to make a change. If you were relying on product groups for your earnings, you most likely took a significant hit with the recent changes. In that case, you may be able to increase your earnings by taking a closer look at bounties. Bounties usually pay a higher rate. By shifting your attention to them, you may not only be able to recoup any money that you have lost but you also may be able to decrease the amount of work that is required to get your campaigns set up. One thing that you may have noticed is that Amazon Associates often runs promotions. Oftentimes, these promotions pay out at a higher rate. If you can find a way to promote them, you may be able to earn more money. You can also earn higher commissions by promoting some of the services that they have available such as games, channels, or home services. You can learn more about current opportunities that are available by reading through the emails that Amazon sends out, browsing the forums, and finding a way to promote the products that Amazon is currently pushing. Amazon provides detailed reporting that can be beneficial for helping you find products to promote. Take a close look at these reports to see if there are any products that keep showing up over and over again. You may find that the products you currently are promoting are not the ones that are selling. However, there may be other products that are selling naturally on their own that would be better for you to promote. For instance, after reading through the reports for one of my sites, I was surprised to discover that a lot of people were ordering Mad Libs. Based on that information, I put together a native ad that focused on Mad Libs, helping me to increase my click-through rate and sales. One of the easiest ways to promote Amazon products is by putting together gift guides. Avoid going for the major holidays since there are already a lot of sites out there that have guides available. Instead, choose low-competition themes. Consider bringing in additional products from sites like Etsy or eBay. The only downside to creating gift guides for the holidays is that they only get traffic during that specific time of the year. You can overcome this effect by creating your guides around evergreen themes. For instance, you could create a guide for ballerina gifts or gifts for swimming pool owners. The best part about going this route is that those searches get traffic throughout the year – not just during the holidays. If your sites have been negatively impacted by the recent changes that Amazon made to the payout rates, don’t despair. By putting these tips into action, you can start increasing your earnings again before you know it.